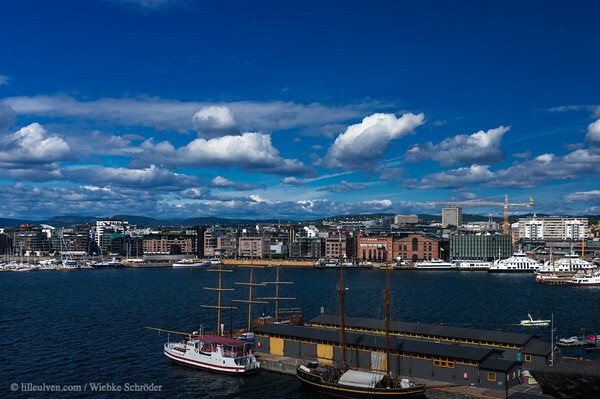 Sentrum, Oslo, Oslo, Oslo • Norway Until 1982 the area of Aker brygge contained shipyards and the engineering industry but following the crisis within the shipbuilding industry it has been converted to what it is today. The Aker Brygge area consists of 13 separate units and 9 of them are divided into a total of 823 owner units. The properties are bound together through a comprehensive working agreement thereby creating a new district of Oslo which is unique in both a national and international perspective. A number of well situated public areas and arrangements have been developed through cooperation between apartment owners, and business and cultural interests creating a way of life which is appreciated by everyone. Many of the tasks normally performed by local government have been taken over by the Aker Brygge properties. The administration of the working agreement and the carrying out of such tasks is done by the commonly owned company Bryggedrift AS. Aker Brygge has become an example for many other habour cities in both Europe and the other continents of the world, an expression of which is the many enquiries and visits we receive each year. Following the shipyard crises, where as time went by shipyards situated in the center of towns became too small and inefficient, it was essential to find new uses for these central locations and to create new jobs to replace those lost due to their closure. Happily, more than twice as many people work in Aker Brygge today than did during the shipyard's heyday. Source uuid="4A7BC4A5-F9C7-4613-834A-2A8B2721C320" id="Norway lilleulven.com 20140731_111635_NO_Oslo_Oslo_Aker_Brygge_www.LilleUlven.com-2.DNG Norway Lilleulven.com"